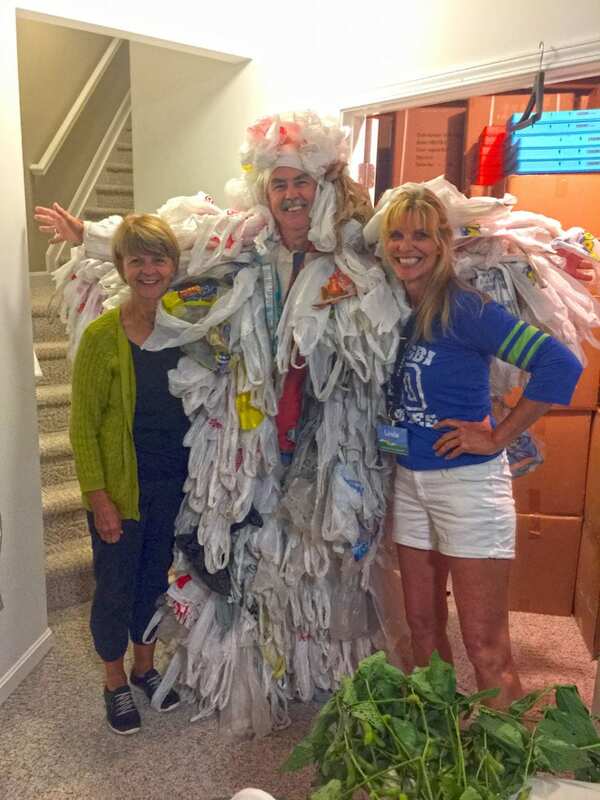 Sue Walpole, Mike Walpole and Linda Fritz show off Linda’s Recycling Costume which represents the number of plastic bags used by a typical shopper every year. The jump suit has Velcro strips so you can replace the bags with other recyclable items: plastic bottles, paper boxes, cans, etc. Mike put on a show for the guests visiting Linda’s home and Sun Sugar Farms for the Cincinnati Regional Chapter of the U.S Green Building Council’s Residential Green Home Tours. For more information and a tour schedule go to The Chapter Site.